We handle all technical support and oversee your website to assure optimal performance at all times. Website performance management means our services are available to all clients, whether or not we developed your site. As your business grows and changes, so too will the needs of your website. Successful sites that generate visitors day after day, year after year must be kept up-to-date. We perform security protection, backup & restoration and resolve urgent website issues. 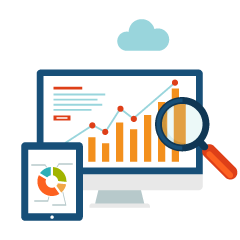 We conduct site audits and conduct technical optimization to assure your site is compliance with search engines and website standards. Everything from Google Analytics Setup, Contact Form Installation, Page Titles Check, Image Tag Check, Link Checks, to Sitemap Setup and Submission. Contact us today to make sure your website is performing optimally.